Home Depot security breach: Ricky Joe Mitchell sabotaged his former employer's systems. You never know who’s watching those transactions. Information continues to trickle in on the Home Depot data breach, and it’s an ugly one. Last week, the company confirmed that its security lapse—the biggest ever for a retailer—had compromised the credit cards of 56 million customers from April to September. The data now being sold on black markets could contribute to an estimated $3 billion in illegal purchases. 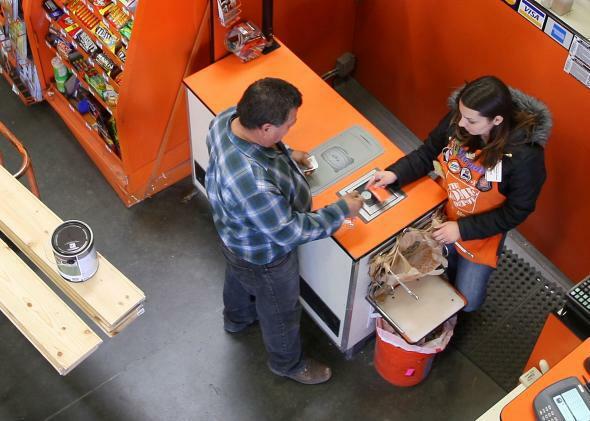 In recent years, Home Depot relied on outdated software to protect its network and scanned systems that handled customer information irregularly, those people said. Some members of its security team left as managers dismissed their concerns. Others wondered how Home Depot met industry standards for protecting customer data. One went so far as to warn friends to use cash, rather than credit cards, at the company’s stores. According to Ars Technica, Mitchell also got into legal trouble over malicious technical activity in high school, when he was expelled for planting viruses in the school’s computer system. He reportedly described himself on his website as someone who loved “to write and distribute Viruses.” Of course people can change a lot between high school and adulthood. But between that early history and his actions at EnerVest Operating, Mitchell’s employment at Home Depot isn’t giving too many added votes of confidence to the company’s security team. *Correction, Sept. 23, 2014: This post previously misstated Ricky Joe Mitchell’s title. He was not the head of Home Depot’s IT security; he was lead security engineer.